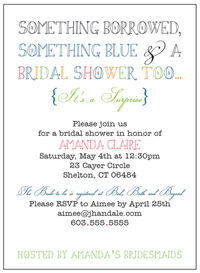 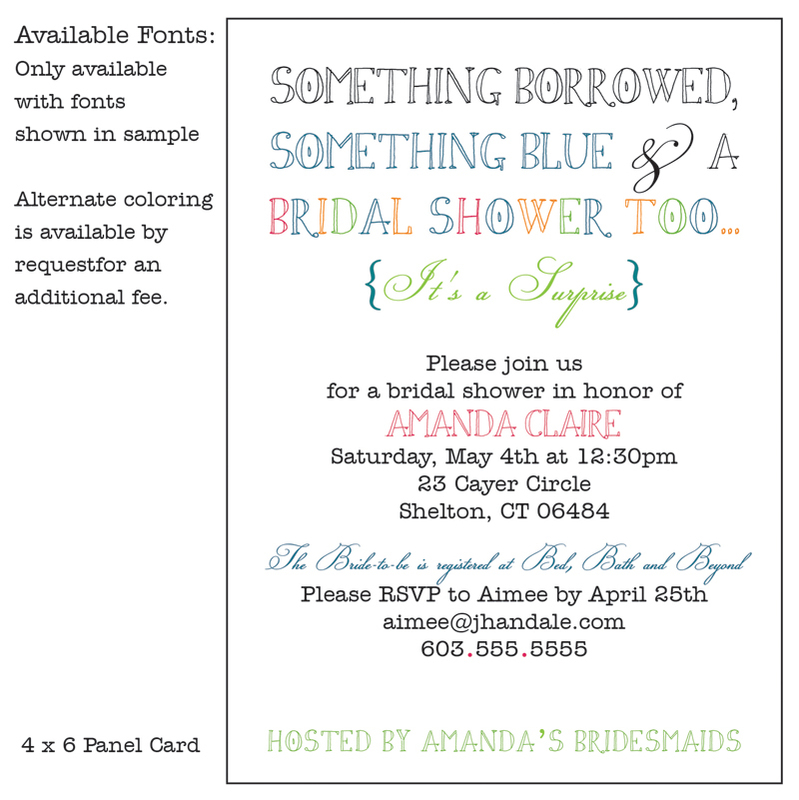 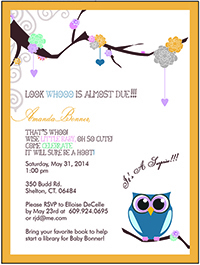 Announce your party or wedding with beautiful invitations! 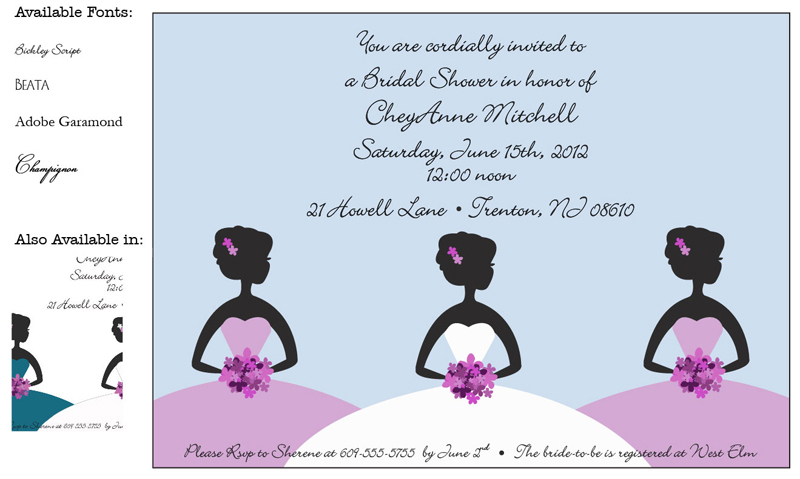 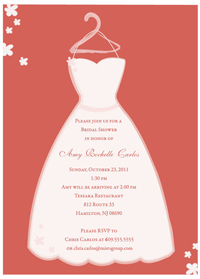 Let Princeton Printer make your Invitation choice a breeze with customizable invitations, thank you notes, and more. 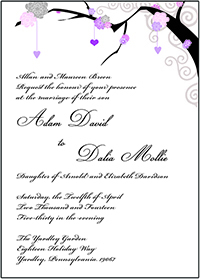 Don't see a template you like here? 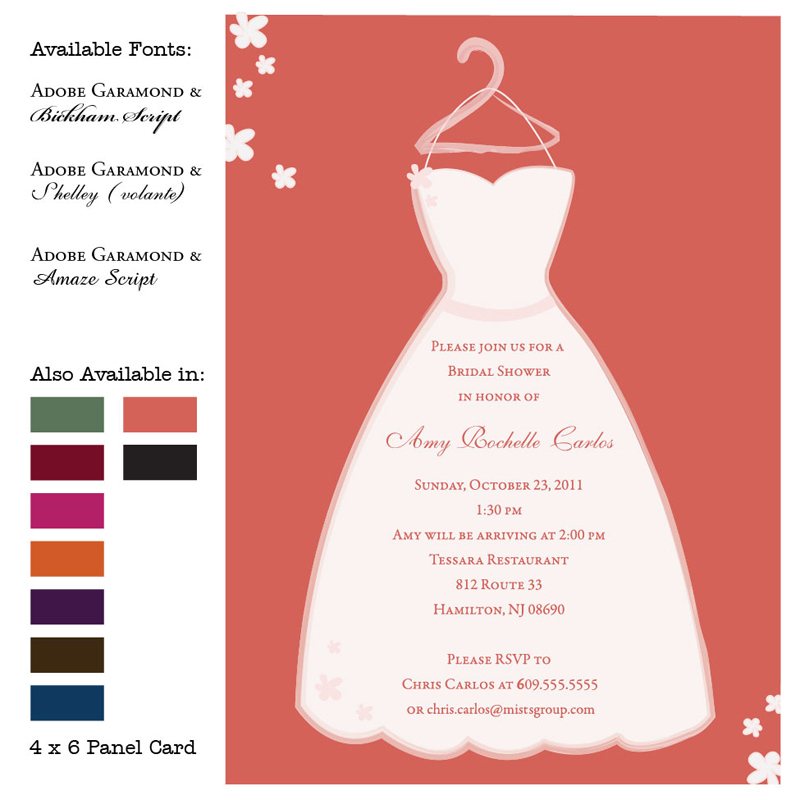 Please, contact us for a custom design to fit your style! 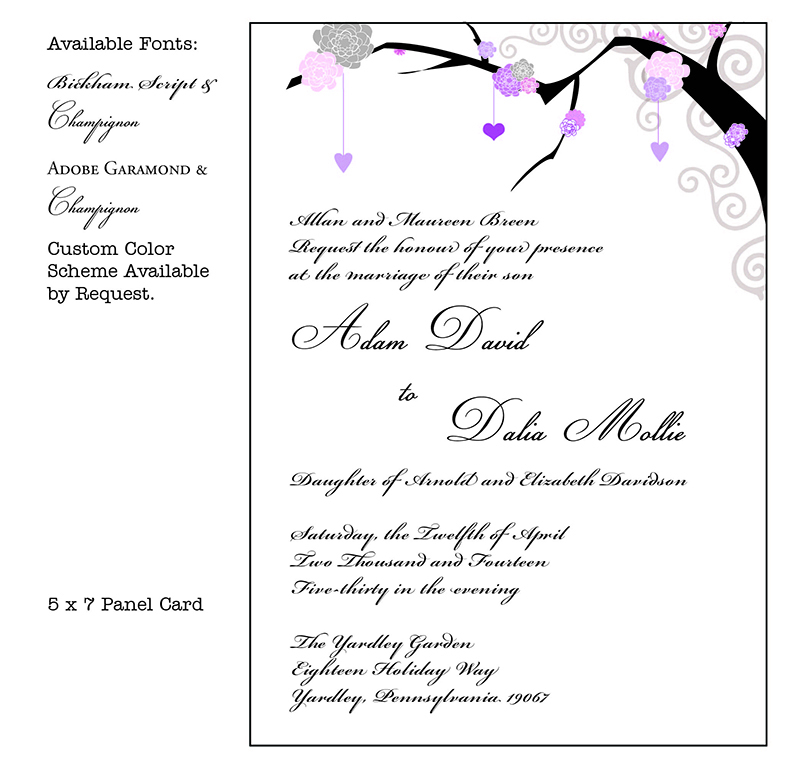 We will use the default wording and format shown on the sample with your details inserted. 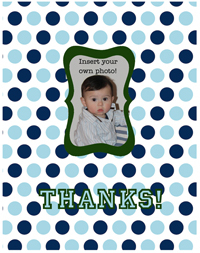 If you wish to add a saying or replace our default wording, please enter it in special instructions. 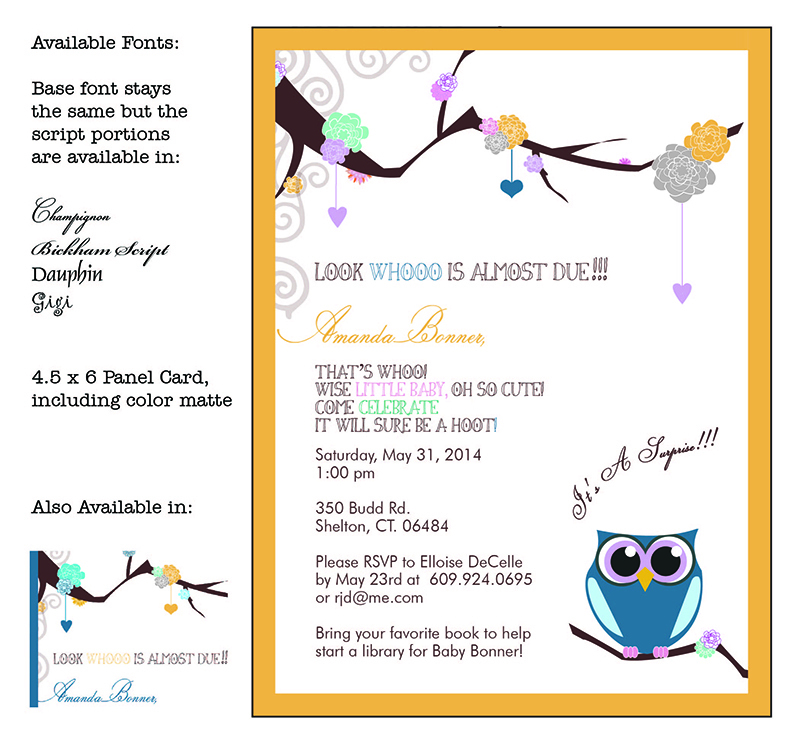 You will receive a digital proof via email before we print! 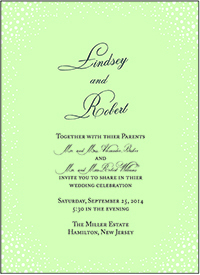 All invitations printed on 100 lb matte stock. 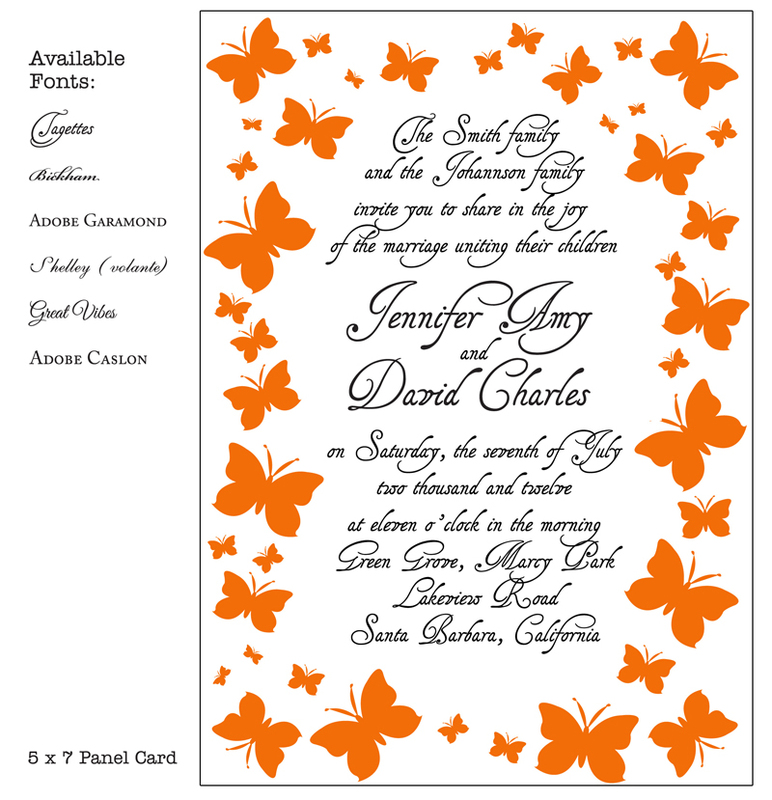 Each card includes envelope. 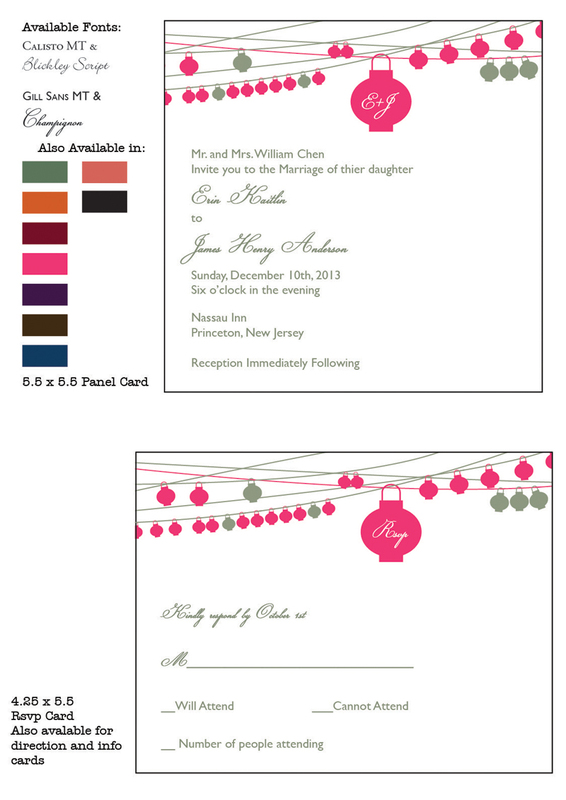 You may purchase printing on envelopes for an additional fee below. 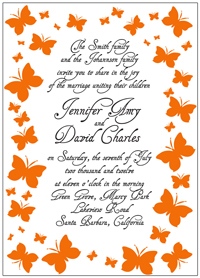 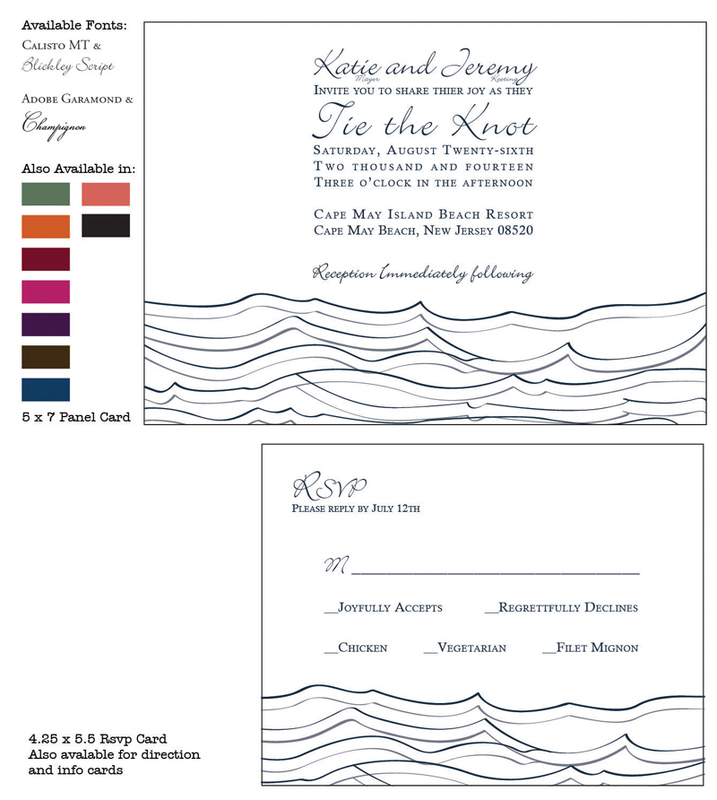 .15/envelope for black ink in addition to invitation set cost; .70/envelope for color ink. 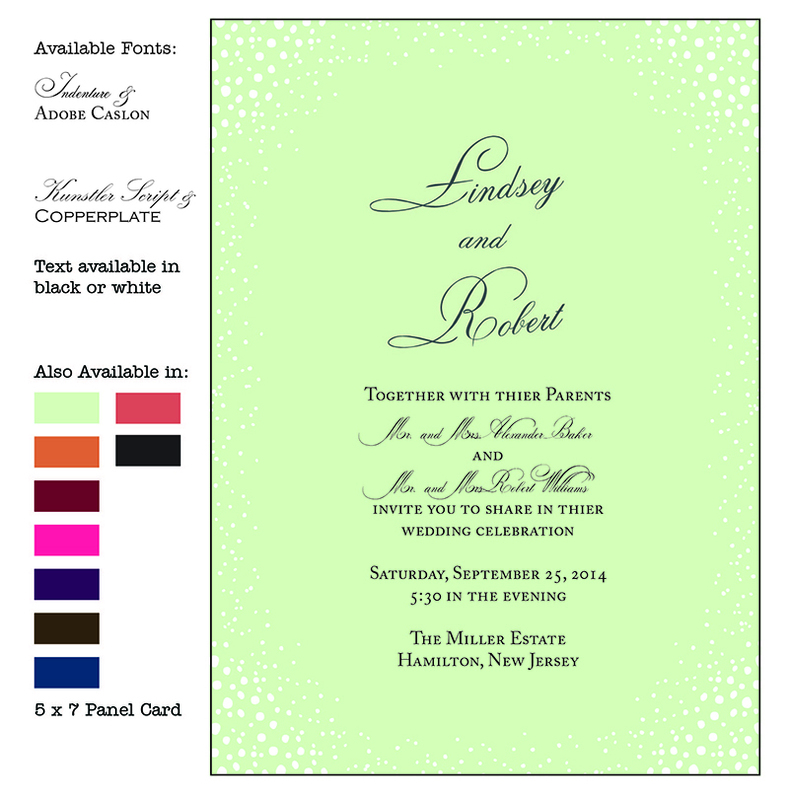 35.00 set-up fee + .15/envelope for black ink; .70/envelope for color ink. 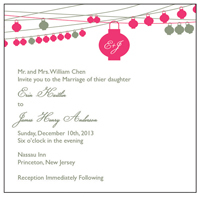 If paying with check or cash, payment must be delivered to shop before we can start your job. 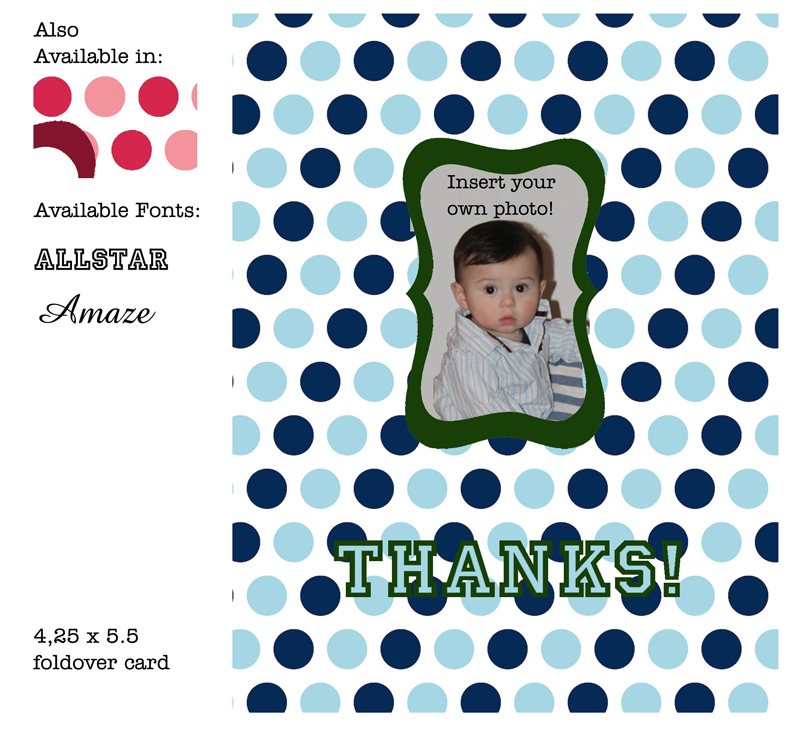 Click image for preview and options.